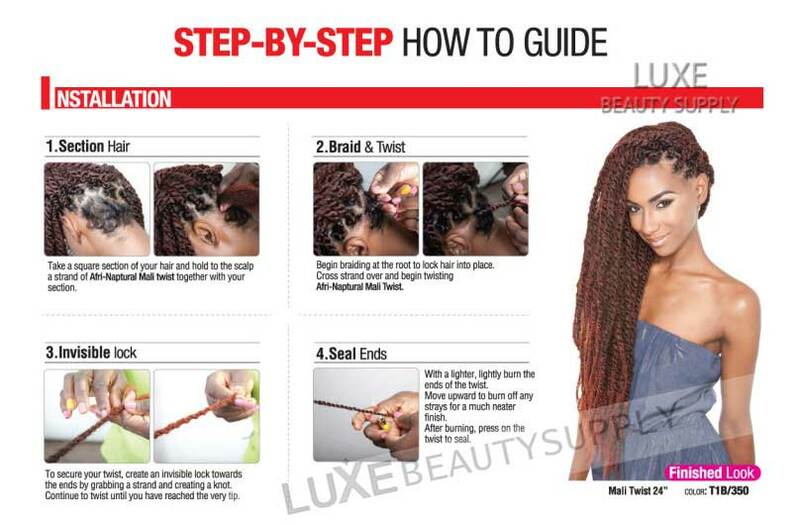 Look your very best with Isis Mali Twist Braiding hair. Perfect for faux locs, crochet braiding, Marley twist styles and endless looks. Natural looking, easy to install and itch free, Isis Mali Twist comes in 16 and 24 inch lengths, beautiful salon inspired colors and can be safely set with hot water to any desired style. I've been using this hair for the past year and a half for several hairstyles, and I absolutely love it. It always comes within 4-5 days of ordering which is perfect for setting my hair appointment to get it done. The hair itself last several months and is easy to use. My stylist loves the texture as it is much easier to put in. I personal love it because it styles very easily and within days everyone believes it's actually real dreads. This is by far one of the best brands for faux locs. Isis Afri Naptural 3D Split Cubic Twist 100% Kanekalon Jumbo 20"